Ships today if you order in the next 13 hours 49 minutes. Apple cider vinegar has been a popular folk medicine for centuries. While some of the uses may have been exaggerated - there are certainly some fantastic benefits. 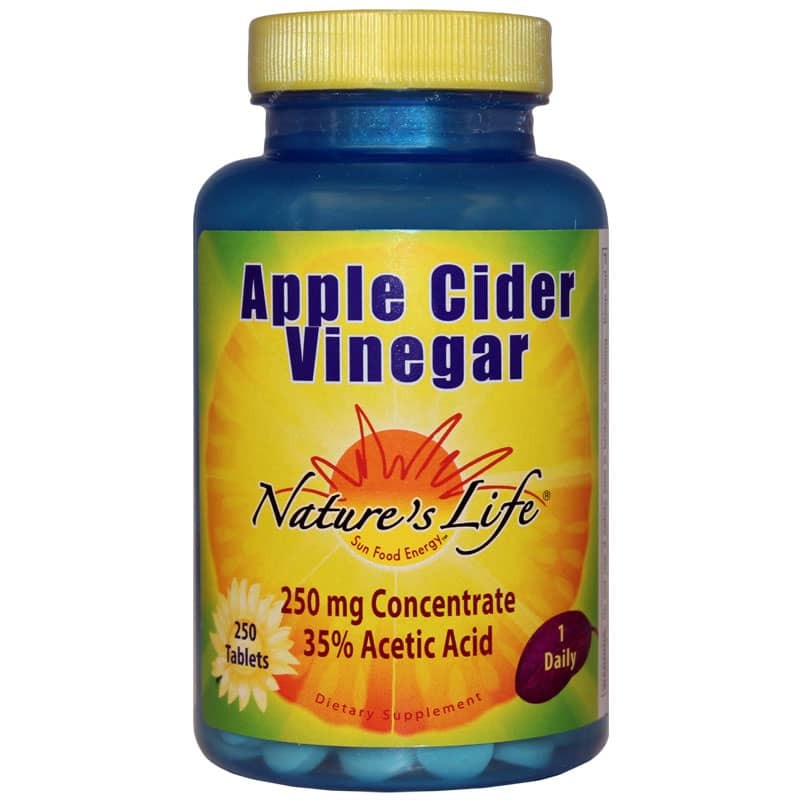 What makes Apple Cider Vinegar supplements from Nature's Life helpful is the high concentration of Acetic Acid. This ingredient can have an effect on your digestion. Research shows the acetic acid in apple cider vinegar seems to change how food gets absorbed in the digestive system. Maybe you've tried taking liquid apple cider vinegar. Doesn't taste the best, does it? 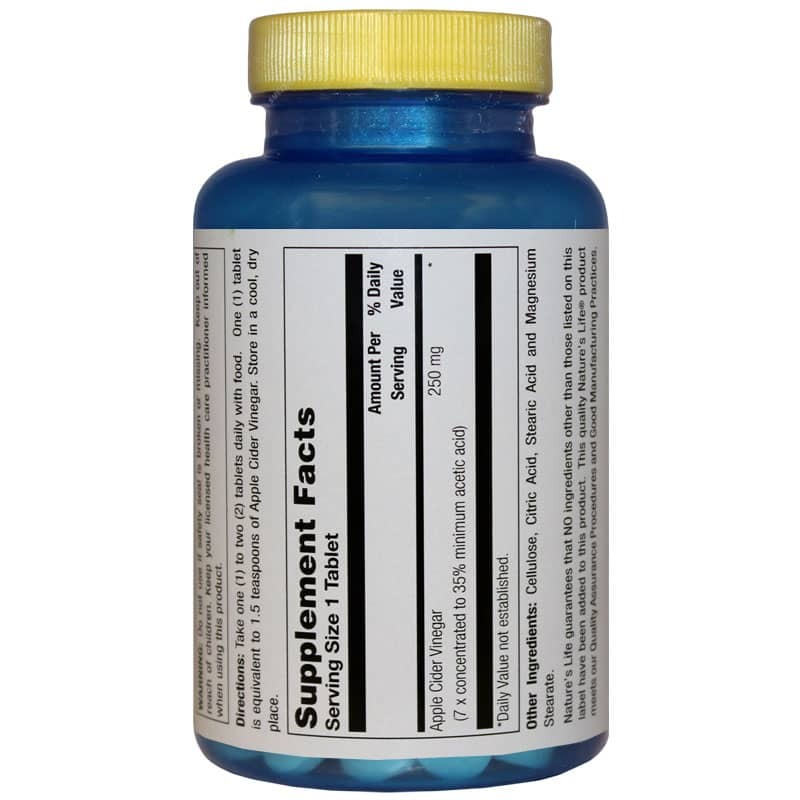 If you can't stomach that vinegary flavor all on its own - this easy-to-swallow supplement is the perfect solution. Just two tablets is equal to three teaspoons of liquid vinegar. Try Apple Cider Vinegar supplements from Nature's Life and get the advantages of vinegar! Other Ingredients: Cellulose, Citric Acid, Stearic Acid and Magnesium Stearate. Adults: Take one (1) to two (2) tablets daily with food. One (1) tablet is equivalent to 1.5 teaspoons of Apple Cider Vinegar. Store in a cool, dry place.